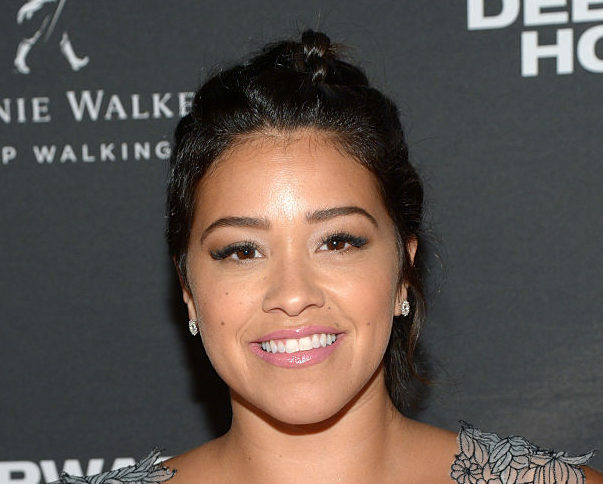 Gina Rodriguez wore the cutest star-print dress and we are here for it! Gina Rodriguez just keeps getting cooler and cooler. Not only is she brilliantly hilarious and perfect as the star of Jane the Virgin, but she also nails her performance in Deepwater Horizon (in theaters NOW). Rodriguez is also constantly proving her awesomeness by posting body positive and inspirational self love messages on Instagram, and we love her for it. And the time she shaved half of her head for a movie and looked exceptionally rad definitely didn’t hurt her cool factor. During the process, she discovered that her hair does not define her, and wrote the most beautiful message about it on Instagram. So it’s absolutely no surprise that we’re completely here for her latest Instagram/fashion statement/life lesson. Technically, the life lesson comes directly from her mom, and it’s beautiful. "My mom would always tell me 'if you look in the sky you see millions of stars. We are all stars baby,'" she wrote. That dress, those shoes, that message — it’s all so perfect. In our eyes, and likely in the eyes of her mom, Rodriguez can do no wrong.